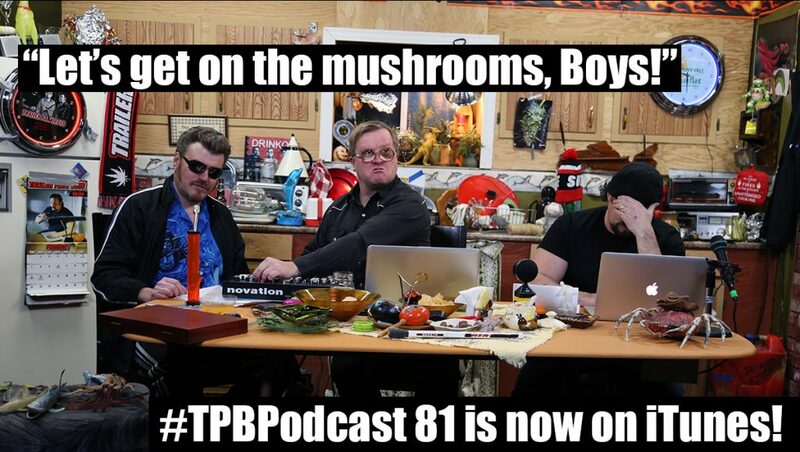 It’s a bonanza of keyboards, Valentine’s Day, and marine life on the latest episode of the Trailer Park Boys Podcast, now available in audio form on iTunes and Libsyn! After discussing how they spent their Valentine’s Day (Ricky had a Sunnyvale Hat Trick – he got in a fight, got in a car accident, and got banged), the Boys chat about more ways to make money, with Julian thinking about becoming a bed-warming pimp cuddler. Ricky busts out a new keyboard he got at the pawn shop, and Bubbles shows him some DECENT tips and tricks to help Ricky catch up to the piano-playing chicken. Ricky doesn’t stop there – he also tests his vocal skills by singing some Beatles! PLUS: Ricky shows us how the brilliant octopus avoids predators via self-decapitation! Episode 81 is brought to you by TrailerParkBoysMerch.com, which has some DECENT clearance sales happening while supplies last!